The lower leagues around the world can be entertaining for many reasons but particularly due to the odd brawl that tends to breakout. It usually ends with a player or two being sent off, but not in Brazil it seems. This is an oldie, but it’s certainly a goodie. 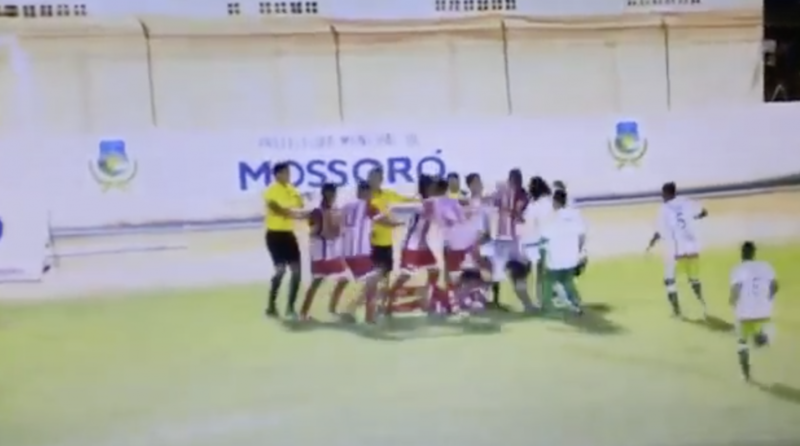 During a lower league derby match between Potiguar and Baraunas, a vicious fight broke out resulting in eight players being sent off. EIGHT. The match eventually finished despite both teams being down to seven men, with Potiguar winning 2-1.